The advance in communication technology has seen a convergence in home and car entertainment systems. As an indication the to this growing area of collaboration the CEA (Consumer Electronics Association), said they are expecting a record number of car manufacturers at 2014 CES showcasing their latest car technologies both inside and out. A total of nine manufacturers are expected: Ford, Kia, Toyota, Audi, Chrysler, General Motors, BMW, Mercedes and Mazda. There are also over 125 automotive technology companies are expected to be there showing their infotainment and telematics solutions, this include companies such as QNX, Dual Electronics, Mitek, Delphi, Pioneer, Mitek and JVC Kenwood. CEA said, for 2014 CES they have set aside more than 140,000 square feet of floor space, just for the automotive exhibits, 25 percent more than the 2013 CES. New for 2014, attendees to the GoElectricDrive TechZone will get the opportunity to experience the first-ever, all-electric BMW i3, which features ConnectedDrive, a host of innovative mobility services. I went and have a look at what was happening at the 2013 Connected Car Expo at the LA Auto Show this week, which I think is precursor of what to expect at 2014 CES. At the show, there was a lot of buzz around connected car solutions. 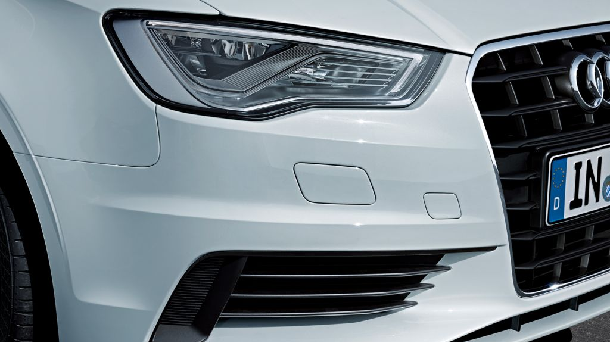 The biggest news was that the new Audi A3 sedan due out in spring 2014 is their first true connected car, which will feature 4G LTE wireless connectivity. There will be an in-vehicle Wi-Fi hotspot with download speed of up to 100 Mbps for up to eight passenger devices. GM (General Motors) and BMW have been working with AT&T throughout the year in a number of Hackathon to generate new ideas for their new range of connected and electric cars. With GM new range of connected cars due out next year and BMW i3 already out, we should see many concepts and solutions at CES. The Ford’s SYNC in-car technology is now in full swing, it’s already in more than seven million cars allowing drivers to connect their devices to smartphones. Visitors to CES will get the opportunity to see what is new in The Ford SYNC, such as call ID, Song Title and the ability to voice-control your music and phone calls. All these and more are available from: SYNC with voice-activation navigation, SYNC with MyFord and SYNC with MyFord Touch (http://www.ford.com/technology/sync/). At the LA Auto Show this week, Toyota debut two research cars. They will be studying how to reduce driver distraction due to the growth in in-car distraction through connected solutions. They have not said that these will be at CES but my guess is that they will be along with their other connected car solutions. You can expect to see more from KIA’s UVO infotainment system, which features voice recognition and the ability to use your phone and diagnose your vehicle. This and more are due in the 2014 Kia Forte – you never know it might be on show. Sprint has announced major upgrades to its connected car solution, Velocity. This is the same platform that Chrysler used in the Dodge Ram 1500, which features voice-activated Bing searches, streaming Internet radio apps and the ability to write text messages. The Sprint Velocity upgraded has been renamed to ‘Velocity Connect’, it includes improvement in telematics and On-Board Diagnostic; we are yet to see how much of this Chrysler adds to its existing services for drivers. We know that Mercedes has been working with Nokia to develop smart maps for connected cars, the solution according to Nokia is to allow cars to compute real time information on demand so that the vehicle can take over more aspects of driving ultimately creating an entirely new class of services. Mercedes are also working with Autonet Mobile to integrate Autonet Mobile’s Wi-Fi entertainment system in its cars. It not clear now what to expect from the Mercedes camp, we will have to wait until January to see. Just Around the Bend: How Technology will Change Driving: The dashboard revolution is heating up and the road to self-driving cars is lined with technology we couldn't have imagined 10 years ago. From safe-driving sensors to voice and gesture controlled infotainment systems to heads-up displays with augmented-reality overlays and more. Gurus of car tech reveal which technologies are redefining driving's future. Connect2Car: If You're Not Connecting, You're Interrupting: Connected vehicles are quickly becoming part of the contemporary driving experience. Technologies and innovations are emerging from both automotive and consumer electronics companies, as well as aftermarket and new, non-endemic players. The challenge remains on how effectively systems, apps, content and context get installed, upgraded and integrated into vehicles and consumer lifestyles. Collaborate Or Die: Once carmakers demanded their suppliers "open the box" of in-vehicle infotainment "head units," the way IVI software is developed has changed completely. Formerly bitter rivals now must work together on the increasing complex IVI infrastructure while still maintaining their competitive advantage. This session will focus on the alliances and other collaborative efforts facilitating these next generation systems. 2014 International CES is owned and produced by the CEA, it will run from January 7-10, 2014 in Las Vegas, Nevada.